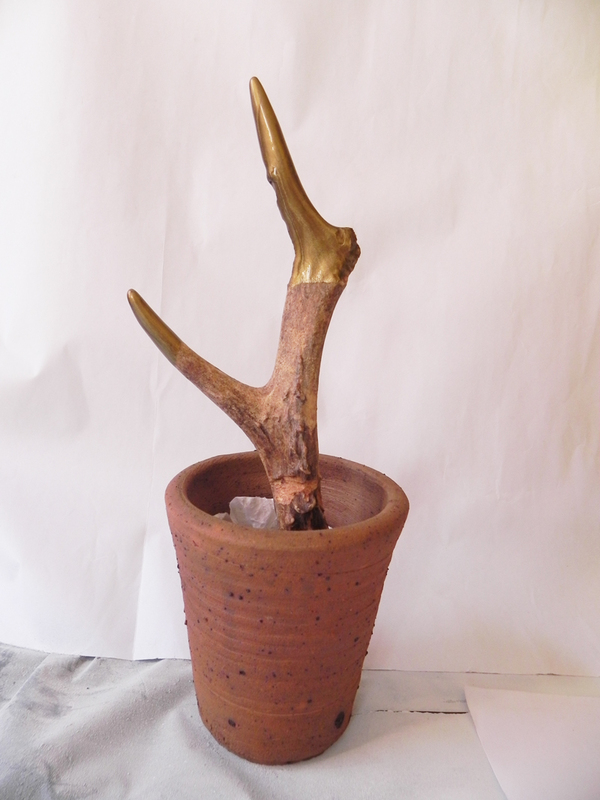 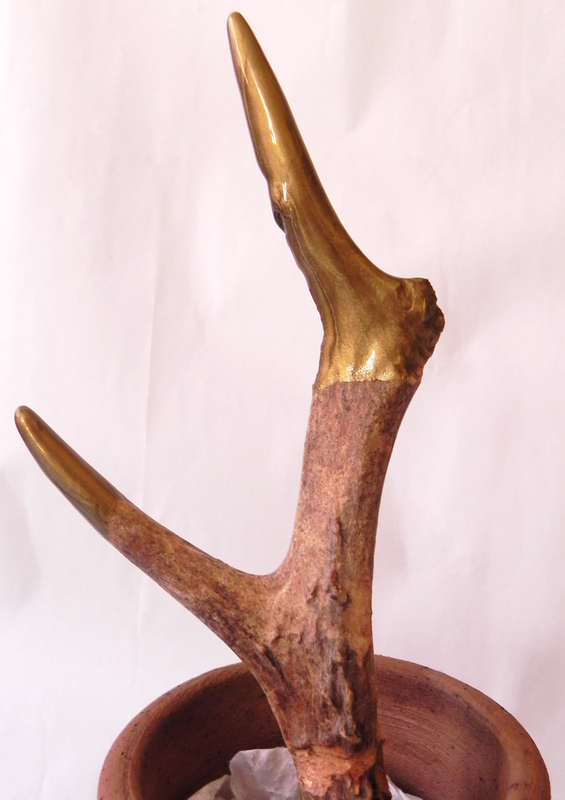 Was delighted to find this little antler on one of my treasure hunts, had to dip it in gold. 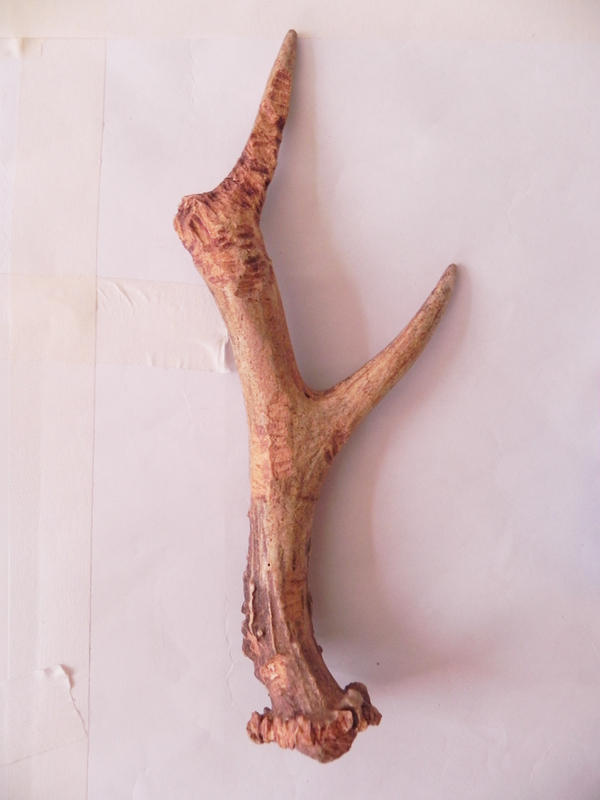 Have done a Board on my PINTEREST with some other golden antler treats. 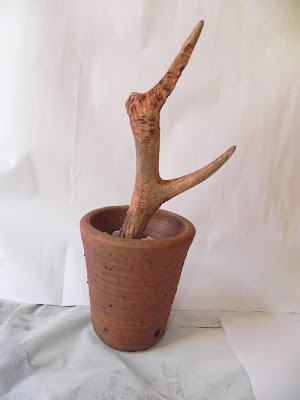 Antlers are shed naturally by deer, so no nasty cruel stuff involved.